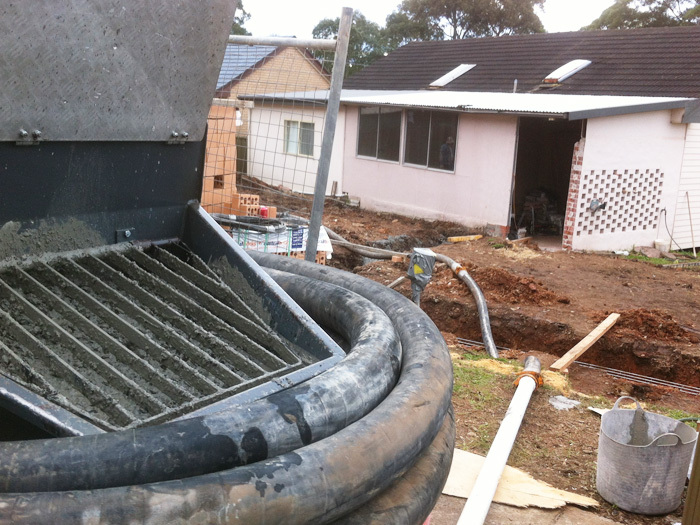 We specialise in pumping concrete into spaces where access is tight or otherwise impossible and it is logistically difficult to bring concrete in by wheelbarrow, which can be time consuming and costly. 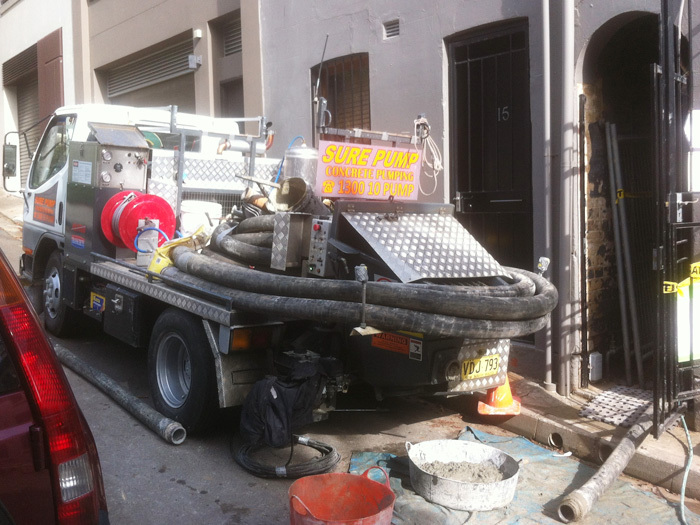 We can achieve this because our mini concrete pump truck allows us to reach many sites that can be inaccessible to other companies. 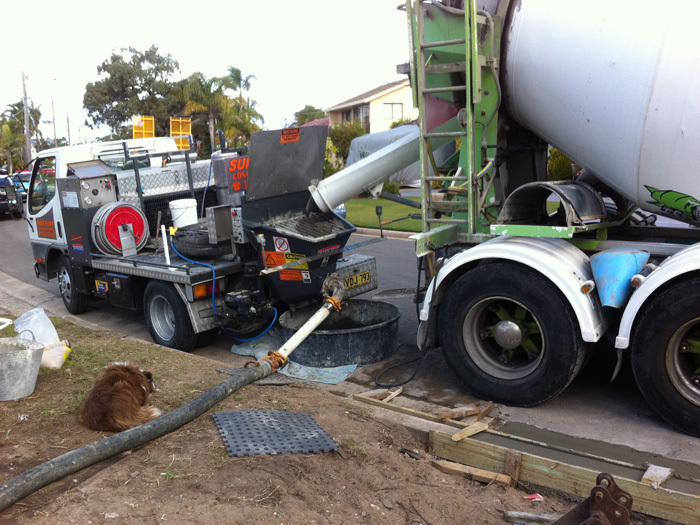 We can set up a pump anywhere that pipes can be placed and Ready-mix concrete trucks can access. 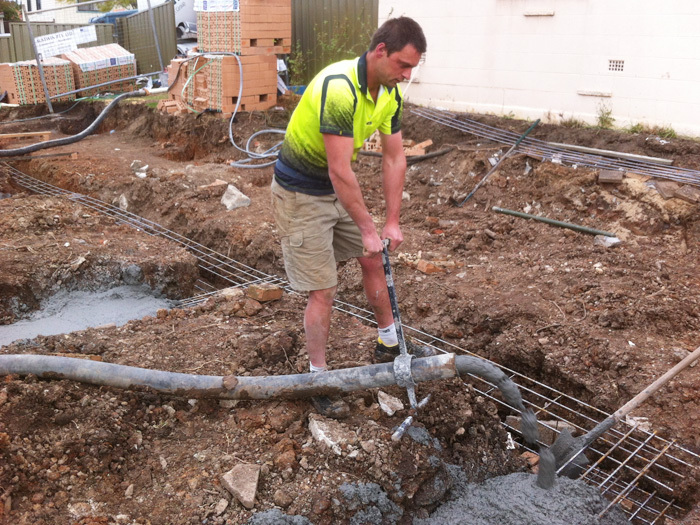 The ease and speed of pumping concrete with our mini pump truck makes it the most economical method of concrete placement. 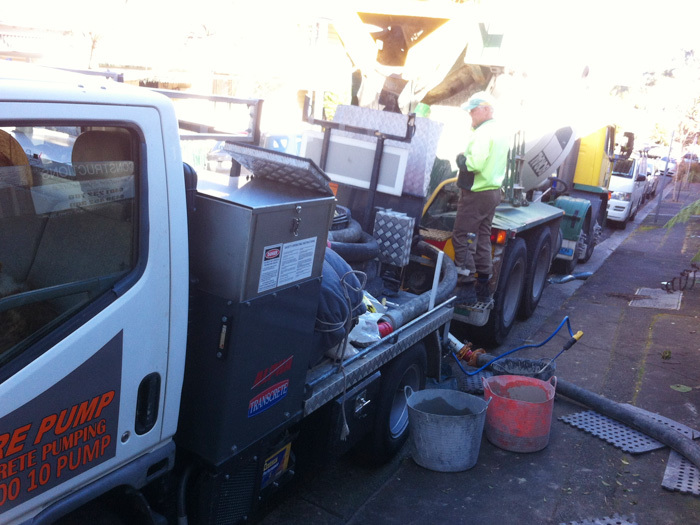 Our small mini concrete pump truck which is the size of a Toyota land crusier, is smaller, only takes up 1 car park on a tight suburban street instead of 3, lighter and it is easier to be moved than the large concrete pump trucks. 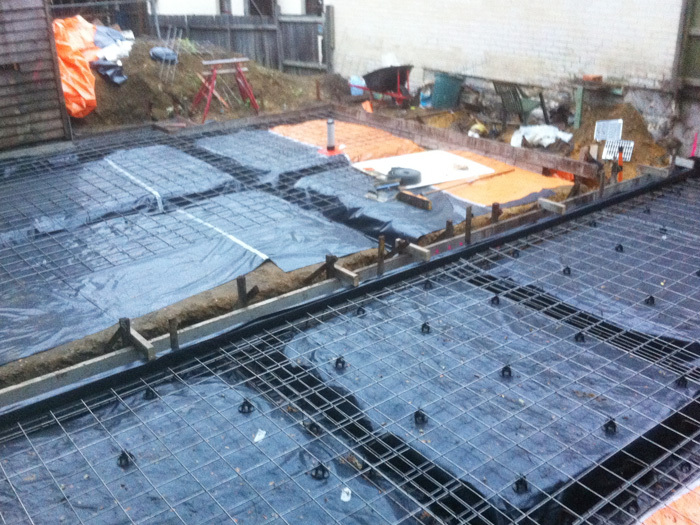 It’s suitable for small construction projects and some large projects requiring less concrete or where access is tight. 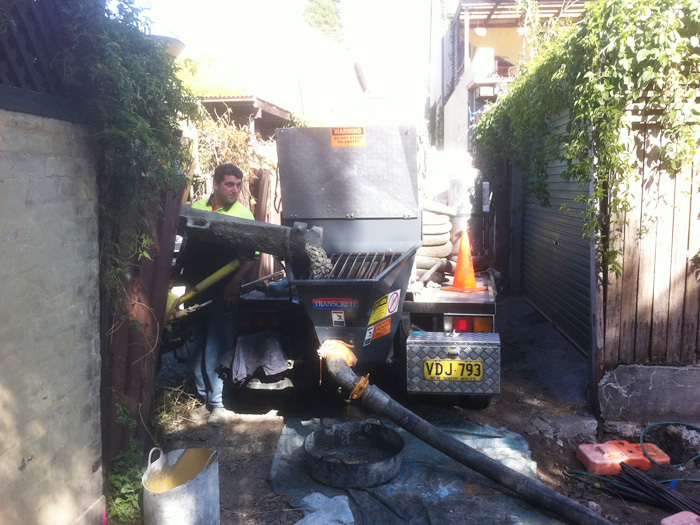 Using our hose we can pump up to 60 meters (more available on request). 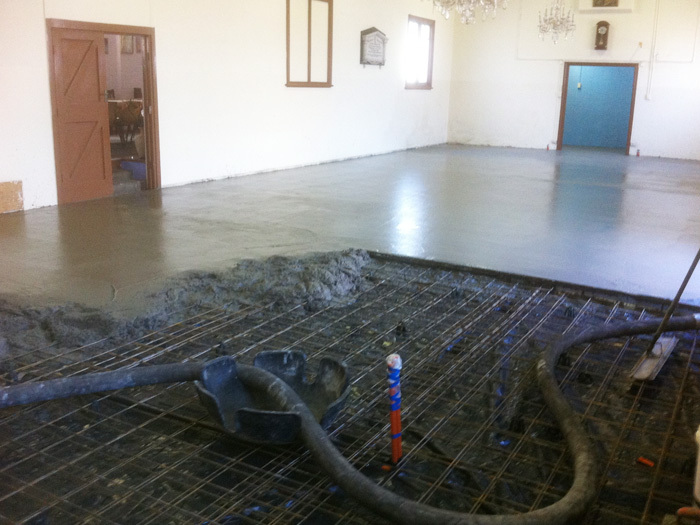 This flexibility allows us to pump concrete cleanly and conveniently almost anywhere it is required. 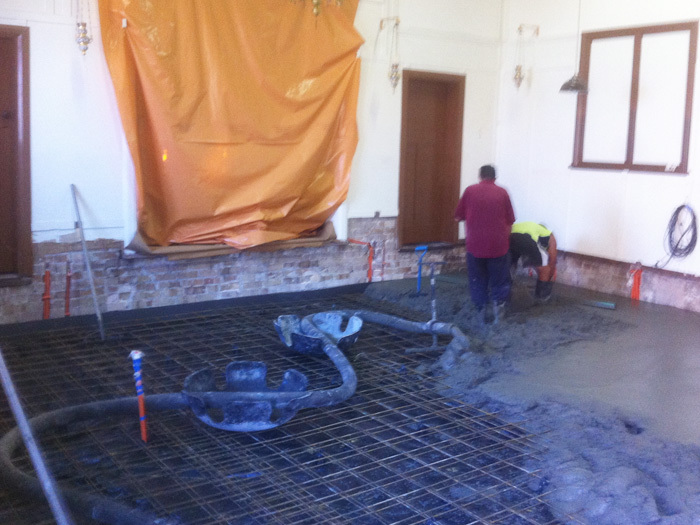 We can pour directly into your foundations, your slab, driveway, new swimming pool, garage floor etc. 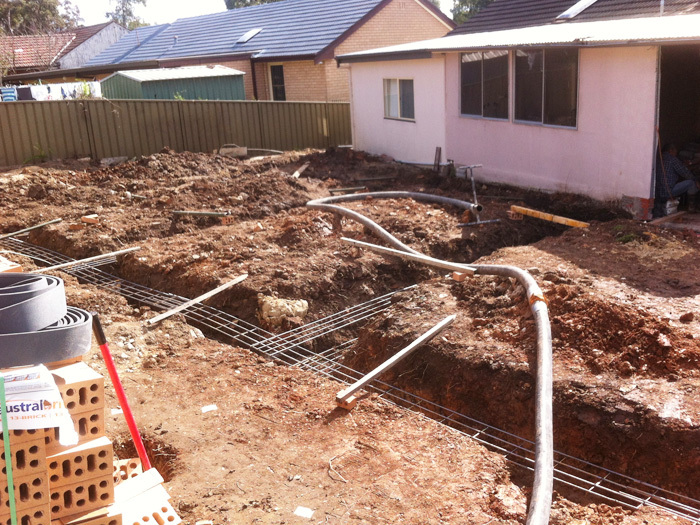 We can drastically reduce the labour costs and concrete companies waiting time charges which could ultimately save you time and money. The risk of spills is minimised in what can sometimes be a messy process, as we use Silt barrier and tarps placed to ensure no mess left behind or contamination to our waterways. 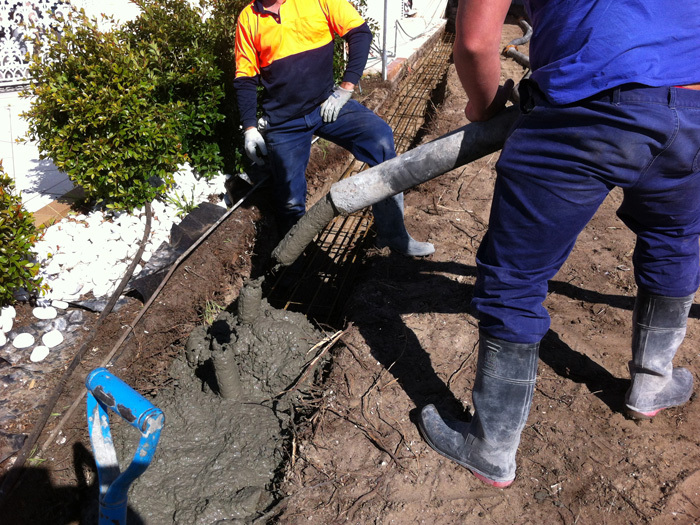 We can pump many types of concrete including lightweight or foamed concrete, fluid concrete, fibre concrete or self compacting concrete. 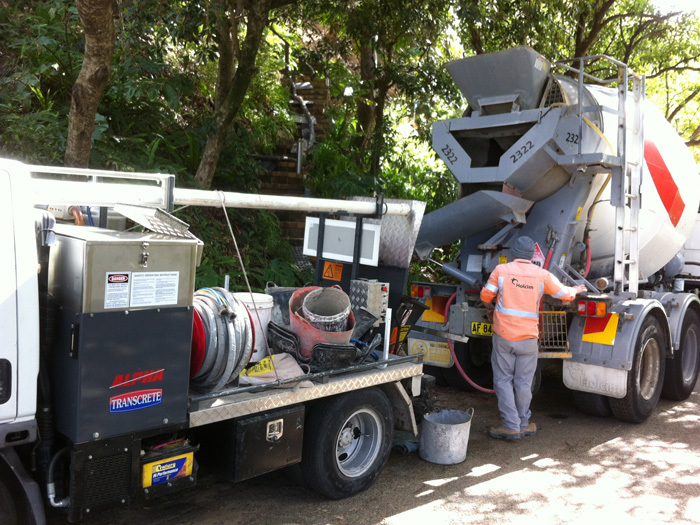 If access at your job is causing you a logistical nightmare, or if you need concrete in but mess kept out, our concrete pumping service could be the right solution for your project. 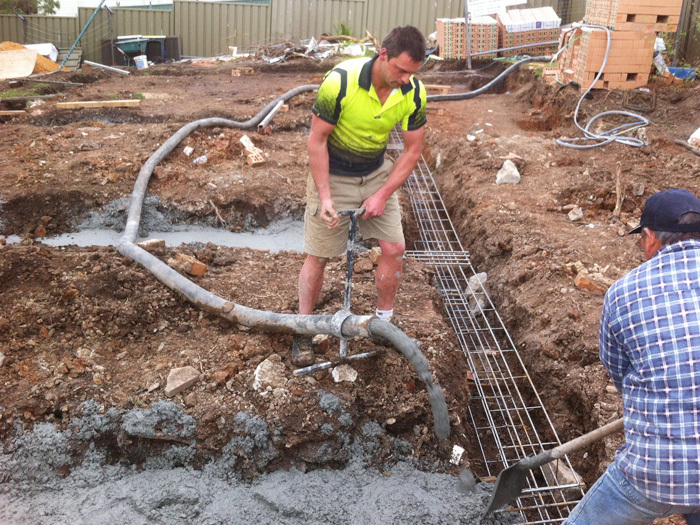 Also, with our competitive prices and the ability to move more concrete per hour than any other method, is also cost effective with the highest customer service and satisfaction guaranteed! 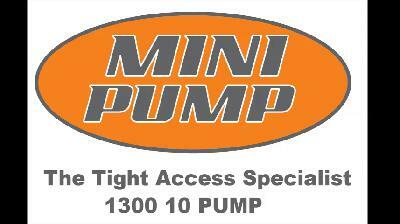 © 2015 Mini Pump. All Rights Reserved.